Have you bored from old pet feeding schemes? Do you really want to try out pallet wood for your pets? Here we are with a DIY pallet plan which will not only give the perfect dog feeding station but will also a be a appreciated gift for you dogs. 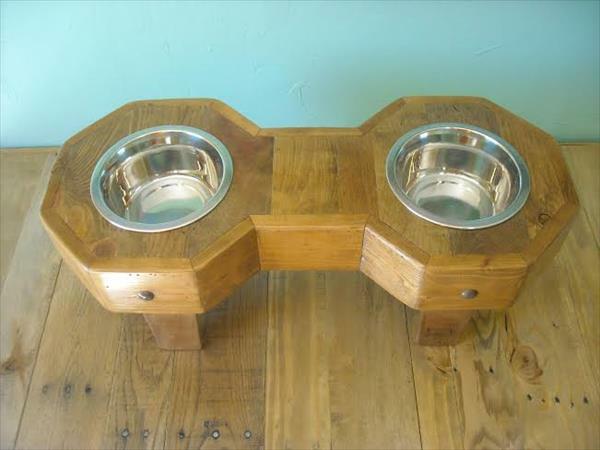 We have shaped up this time a DIY pallet hexagonal dog bowl holder using the pallet wood. This really came up with a fetching and overcoming design that you dogs or cats will just love it!! 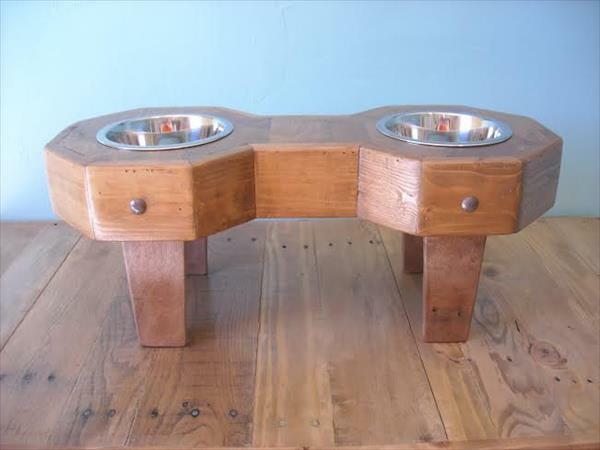 We have raised it in dog bone shape design that really makes it specified and exclusive for dogs. We have given it a little bit tiny short legs which have been settled tight using nuts and bolts. Wood has been sanded down through hand-gritting and then has been polished for a sleek look. 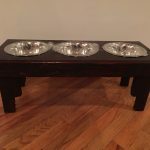 Make this utilitarian DIY pallet bowl holder duplicated and feed you dogs without any hitch or trouble.